I can remember like it was yesterday when I was less than 10 years old sitting in front of the TV trying to reach around my dads J-50 Gibson accoustic guitar playing along to the tunes every week on the Porter Wagoner show, the Grand Ole Opry show, and many others that used to come on back then. It was those soon to become legends including Dolly Parton who he is solely responsible for bringing to the stage that were my mentors to inspire me to go on to become the musician I am today. 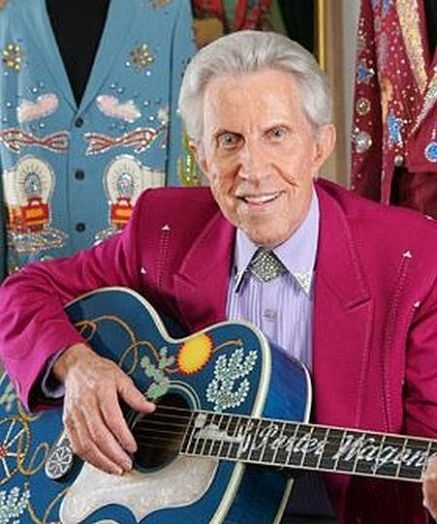 Wagoner, a Grand Ole Opry institution and member of the Country Music Hall of Fame, died Sunday (Oct. 28) at 8:25 p.m. at Alive Hospice in Nashville. He was diagnosed with lung cancer. One of my favorites was “The Cold Hard Facts of Life” and “The Caroll County Accident”. He will be sorely missed by not only his three surviving children but the fans of the music as well.